Think all the way to September 2017. 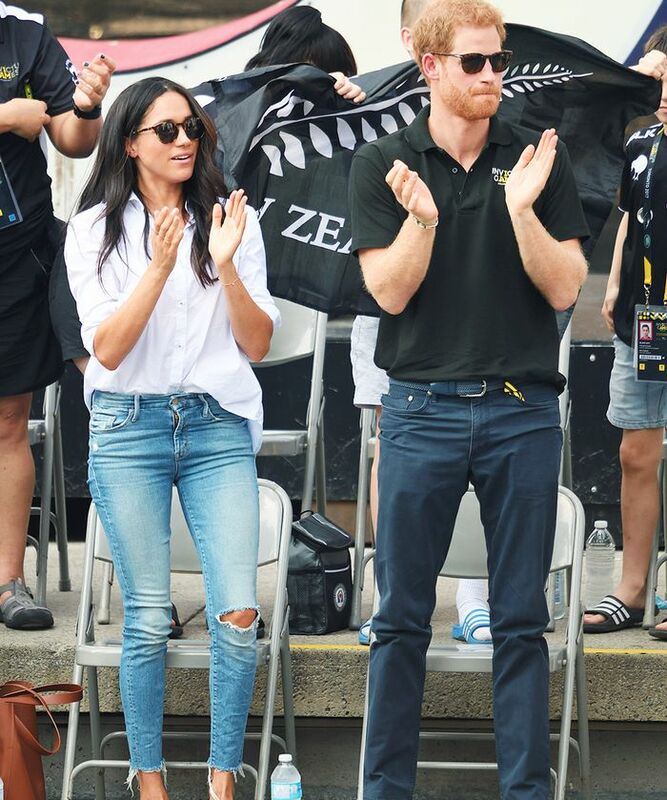 It was in the early days of Harry and Meghan's first official outings together, thanks to their joint attendance of the Invictus Games in Toronto. This was months before the official engagement was announced, and therefore way ahead of our wedding dress obsession schedule, but even then, the "Meghan Markle effect" was strong. When Markle wore a classic formula of a white shirt, skinny jeans, and tan pointed ballet pumps, Google searches for the denim brand she had chosen—Mother—rose by 60% that week. And the day after Meghan showcased her designer denim of choice, Mother's website traffic increased by over 200%, and the brand experienced a stellar October, beating its own sales forecast by almost 20%. It's the fairytale retail story every fashion label is probably dreaming of right now. But Meghan isn't the only girl to be hooked on Mother denim: I've previously spoken of my enthusiasm for the brand's soft, comfy fabrications and super-flattering cuts before—it's the only brand to have persuaded me into skinny jeans since I was a teen. This particular style, the Looker Ankle Fray, has long been a favorite among fashion girls in the know. The Love Gun wash the royal loves has risen in popularity since, and so much so that Mother opted to recut and release them to a lengthy waiting list in March. Naturally, they sold out, but Mother just restocked the highly coveted jeans. You're going to have to act fast to get your hands on these Meghan Markle–approved skinny jeans, so shop her popular jeans below before they go again, along with a selection of other Mother skinny jeans we think she'd love. These are the exact same wash as Meghan's go-to jeans. This post was originally published on Who What Wear UK and has since been updated.